805 Interstate 20 Frontage Rd. Featured amenities include complimentary wired Internet access, a 24-hour business center, and dry cleaning/laundry services. Planning an event in Big Spring? This hotel has facilities measuring 625 square feet (56 square meters), including a meeting room. Free self parking is available onsite. Located in Big Spring, La Quinta Inn & Suites Big Spring is a 4-minute drive from Big Spring Municipal Auditorium and 5 minutes from Heritage Museum of Big Spring. This hotel is 4.2 mi (6.8 km) from Comanche Trail Park and 4.6 mi (7.4 km) from Russ McEwen Family Aquatic Center. Located in Big Spring, Towneplace Suites Big Spring is within a 5-minute drive of Heritage Museum of Big Spring and Big Spring Municipal Auditorium. This hotel is 3.8 mi (6.2 km) from Comanche Trail Park and 4.2 mi (6.7 km) from Russ McEwen Family Aquatic Center. A stay at Quality Inn & Suites places you in the heart of Big Spring, a 3-minute drive from Big Spring Municipal Auditorium and 5 minutes from Heritage Museum of Big Spring. 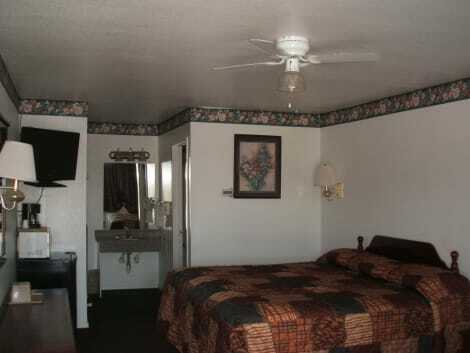 This motel is 4.3 mi (7 km) from Comanche Trail Park and 4.7 mi (7.5 km) from Russ McEwen Family Aquatic Center. Make yourself at home in one of the 20 air-conditioned rooms featuring flat-screen televisions. Complimentary wired and wireless Internet access keeps you connected, and cable programming provides entertainment. Bathrooms have showers and designer toiletries. Conveniences include desks and coffee/tea makers, and housekeeping is provided daily.